“A relaxed and charming atmosphere, discrete staff, and gourmet dining are our winning ingredients here at Al Graspo de Ua,” so states proprietor Alessandro Mazzetto. The Palladian Traveler spent an enjoyable evening at this eatery of note in La Serenissima, and sampled firsthand the delectable bounty offered by Alessandro and his staff to each and every one of their guests. 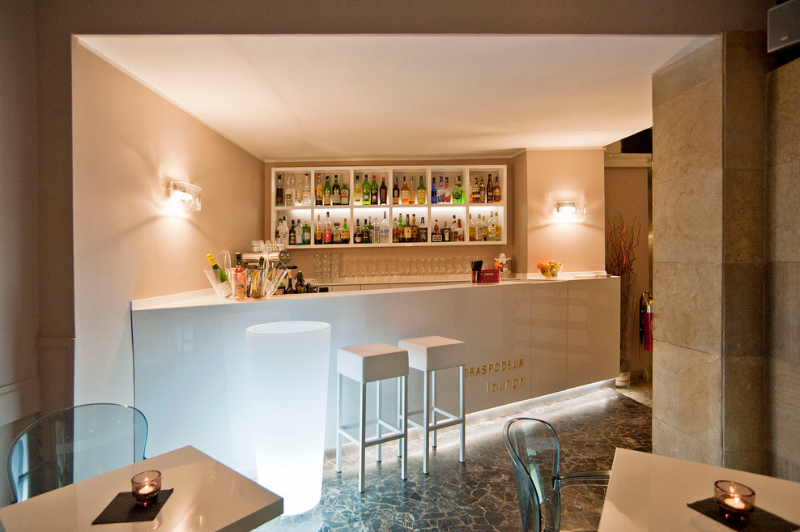 This restaurant-lounge is located in the historic center of Venice, tucked quietly away in one of the narrow calle (streets) just a few steps from the Rialto Bridge and St. Mark’s Square. It’s the ideal setting for lunch or dinner, a refreshing aperitivo (cocktail), or late-afternoon English-style tea service. 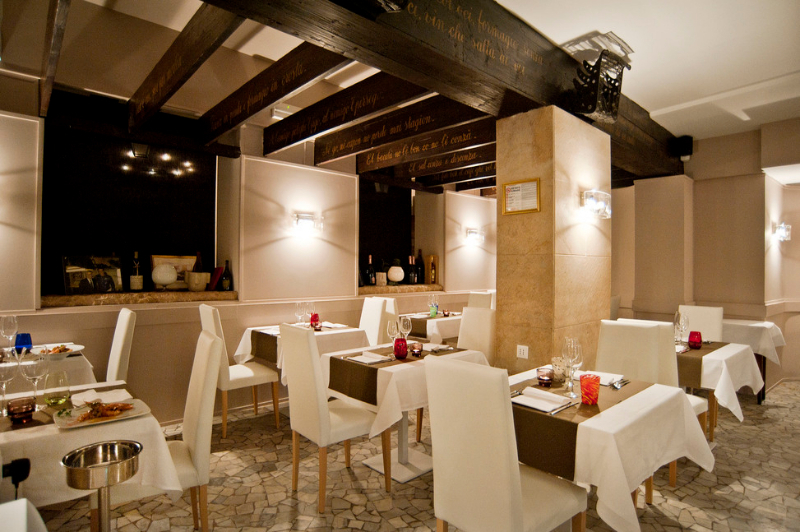 For more than a century, Al Graspo de Ua has been perfecting its gastronomic acumen and refining the establishment. In the world-renowned traditions of Venice, this restaurant-lounge brings an artistic flare to the plate and puts ear-to-ear smiles on its customers faces. When you come to dine, be sure and order two of their signature dishes: Gamberi Imperiali al Brandy su velluta di porri crocanti — Imperial shrimp in a velvety brandy sauce over crispy wild onions — and, Branzino in Cornucopia su letto di rosti di palate e salsa al pistachio di Bronte — Sea bass in a crispy horn-shaped basket standing atop a bed of hash-brown potatoes in a sauce made from pistachio nuts from Bronte, Sicily. The Al Graspo de Ua can be small and intimate, or large enough to host a wedding, anniversary or birthday party, or other significant gatherings of family and friends or business associates. A private room is also available that can be customized to your special needs. When next you visit Venice, be sure and include Al Graspo de Ua — a dining experience with Venetian style and tradition since 1828. BUON APPETITO! Excited to check this place out next time I’m in the neighborhood! Next time you’re over here, we’ll go together and I’ll introduce you to Alessandro, the owner. Sounds wonderful! Three women friends and I will be visiting Venice in September and will definitely find it! We’re making lists of where to go and what to see. We really like your site, it’s lovely. Lorraine — Glad you enjoyed my forkful of info on Al Graspo. If you go, make a reservation ahead of time. Be sure and let Alessandro — the owner — know that you heard about his eatery from The Palladian Traveler. 🙂 Here’s another Venetian locale that’s quite good and scenic: Ristorante Ai Cacciatori (http://www.aicacciatori.it/index.html) in the “sestriere Guidecca,” not far from the Hilton Molino Stucky Hotel. There’s outside seating on the promenade with a great view back to St. Mark’s Square. Finally, you cannot visit Venice without stopping for Spritz Veneziano aperitif (just ask for a SPREETZ, as they pronounce it). One of the most popular watering holes for the locals is “Ai Schiavi,” along the “fondamenta” in the “sestriere” Dorsoduro near the Academia Bridge. Great finger food (“chiceti”), too that comes with the drink at no extra cost. 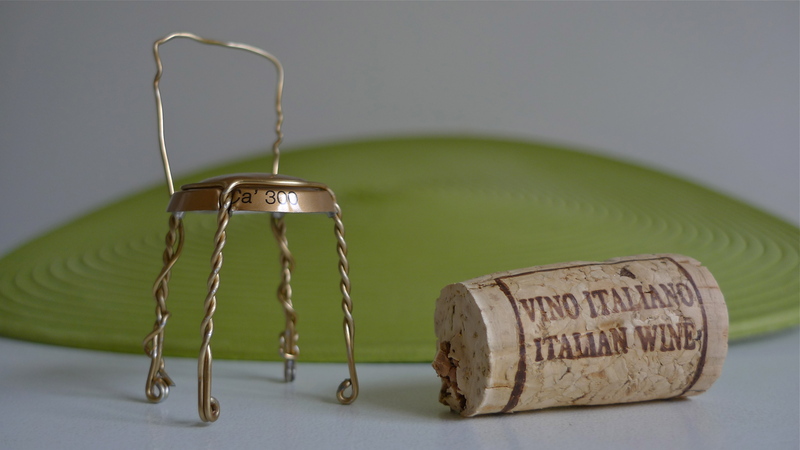 Read up on it here: http://www.tripadvisor.it/Restaurant_Review-g187870-d1482772-Reviews-Cantinone_Gia_Schiavi-Venice_Veneto.html. Buona fortuna!